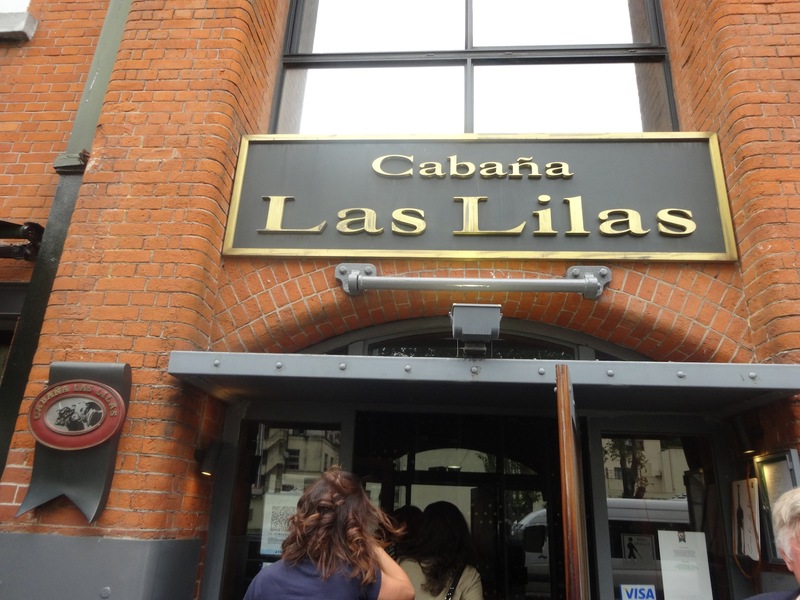 Cabaña de Las Lilas is one of the most famous steakhouses in Buenos Aires, let alone all of Argentina. When we walked in I recognized everything -- the open kitchen, the smell of charred beef, the outdoor patio on the river - from my visit 10 years ago. We happened to be there this time on Mothers Day, which is celebrated on October 20 in Argentina and Chile. But we weren't there to celebrate moms. The "we" I refer to is my group of fellow travel writers, all on a wine trip through Chile and Mendoza. 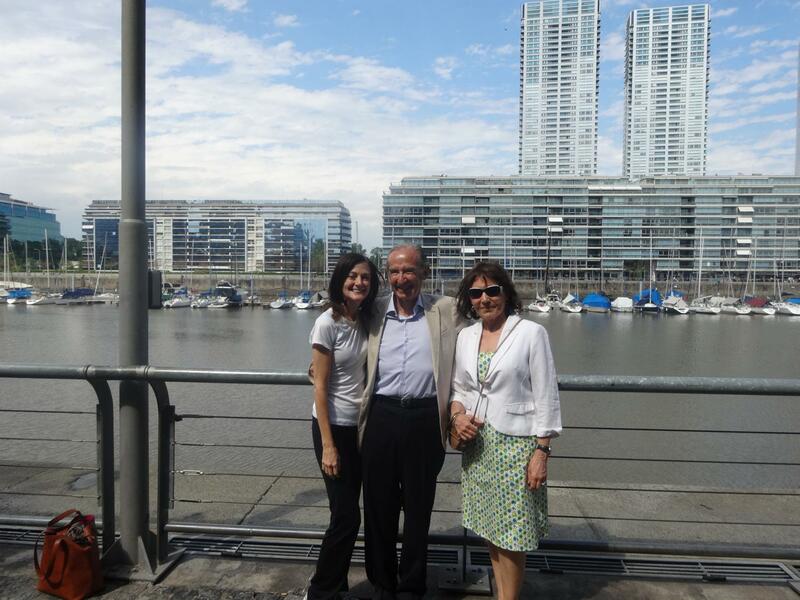 Our last stop was a few hours in Buenos Aires. Most of the hours were spent at Cabaña Las Lilas. 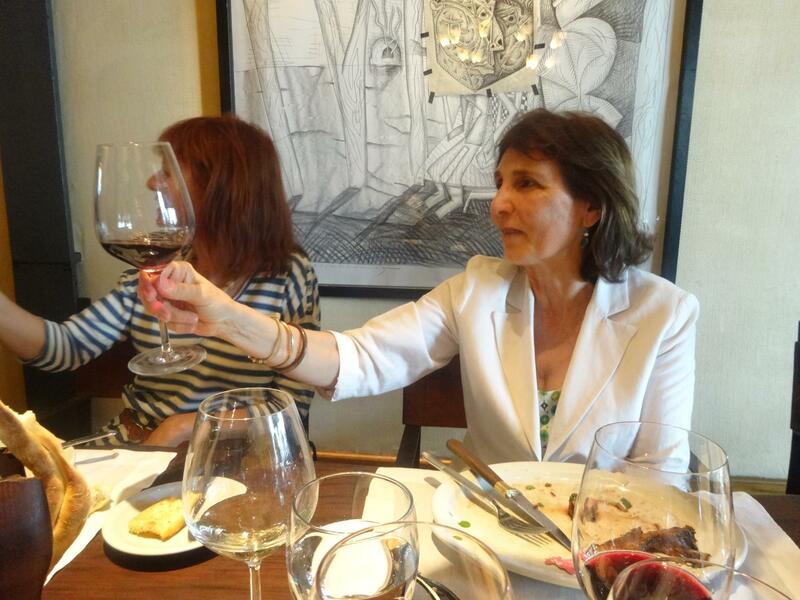 We weren't complaining though, because that meant a three hour lunch with the most famous winery duo in Argentina, Nicolás and Elena Catena, proprietors of Bodega Catena Zapata in Mendoza. 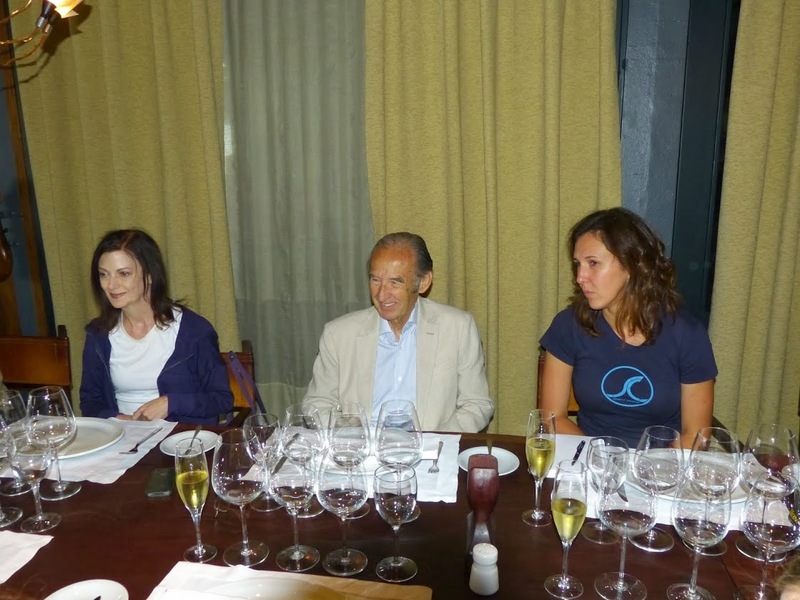 I was lucky enough to be seated next to Nicolás, considered to be the Robert Mondavi of Argentina. I had the honor of meeting Mondavi on several occasions, getting to interview him and also have lunch with him. I knew I needed to ask Nicolás everything I could think of. Nicolás's grandparents immigrated to Argentina from Italy in 1898 and started a winery in Mendoza in 1902. Nicolás was born and raised in Mendoza. At age seven he was working in the vineyards and by age 10 he was working in the winery. He went on to study economics, earning a doctorate in economics, and eventually took over the family winery from his father Domingo in the 1960s. From there he slowly built a world class winery by increasing quality and investing in research and development. Today the Catena Institute of Wine is a leader in R&D not only for the Catena Zapata winery, but for Mendoza and Argentina in developing better quality wines. Nicolás is called the Robert Mondavi of Argentina for his tireless belief in, dedication to and promotion of the highest quality Argentine wine around the world. 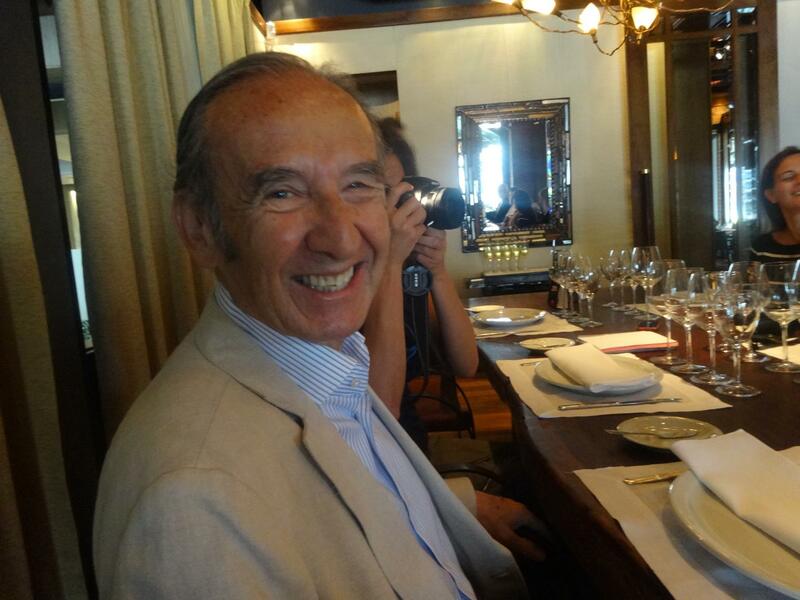 In 2009 Nicolás was named Decanter magazine's Man of the Year, the first South American vintner to receive the honor. Lucky for us, Nicolás and Elena brought their wines to serve for lunch. 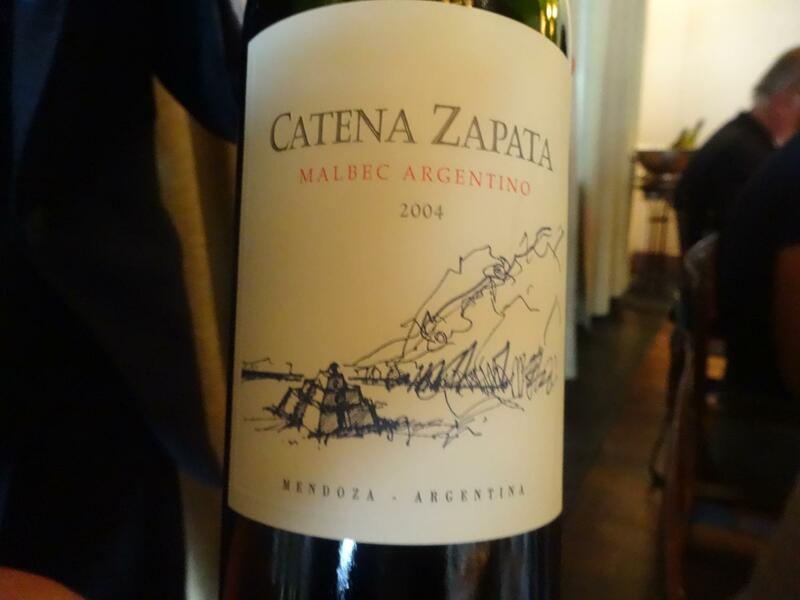 By this point we were big fans, having visited the Catena Zapata vineyards and winery in Mendoza and tasting through many of their bottlings. White Bones, a single vineyard, plot specific Chardonnay was the first wine. I told him it was a great experience to be in the vineyard this wine comes from and see the rockiness in the soil. Getting to taste the wine right there was a revelation. "It has always been my idea that the place where you taste the wine changes the flavor," says Nicolás. "When I go to France and taste the wine it's much better than tasting the French wine here." 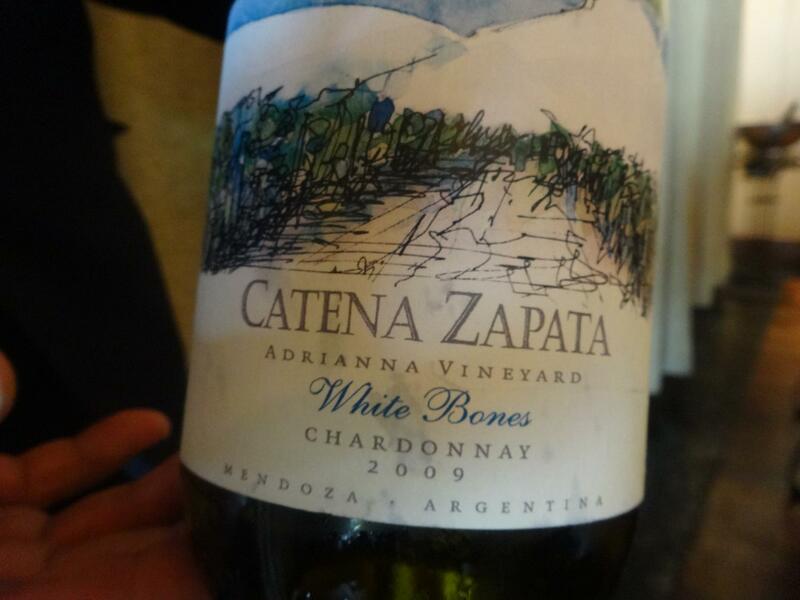 Even away from the vineyard, White Bones is still pretty amazing, very mineral rich with crisp acidity and pureness of fruit. Nicolás talked about new world vs. old world wines and the challenge to build the quality and reputation of Argentine wine. "My father had been dedicated to the idea that there were two different wines, the French, the real one and all the others. He used to travel a lot particularly to Europe just tasting wine. When the Americans, the Californians first challenged the French in the 70s, you remember that famous tasting? For him that was a shock and also for me, because I received my wine education from my father. We always had some sort of complex of inferiority until the Californians challenged the French. That is really in the history of wine appreciation a very important topic, particularly for me. So when I decided to change the quality of Argentine wine my inspiration was not Europe it was California." "At the beginning of 1982 I was a visiting professor at the University of California Berkeley in economics. Our first weekend was visiting Napa because Berkeley and Napa are one hour distance. The first winery that we visited was Robert Mondavi Winery, but we went just as tourists [Elena adds "incognito"]. Really for me he flavor of the wines was a shock and because of that my mind changed. That was the first time I had tried [Mondavi wines] and was accustomed to taste European wines, Italian, German and French wines and also Spanish wines but I had never tasted the high quality California wine until 1982." "Well after that I met Robert Mondavi. He was such a nice person and particularly ready to answer any question. That was a big difference with the French, they never tell you exactly what they are doing, how do they make their wine, how do they plant the vineyard. Robert Mondavi will tell you everything and we saw the enthusiasm. It's incredible, that's something I'd like to mention. "I remember Robert Mondavi telling me 'I am doing the exactly the same as the French, but with more enthusiasm, more dedication, so my wine should be much better than the French.' That was the idea you remember? So the French were the obsession of the Californians. I am talking in the 70s and in the 80s, when I decided to start something different in Argentina, my inspiration was California." 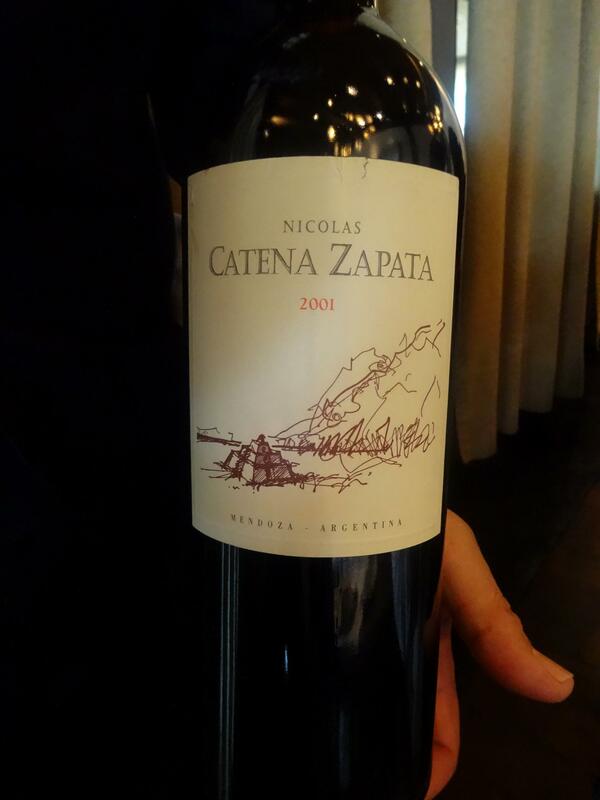 Nicolás and the Catena Zapata team pushed the limits and went on to produce the world class Catena Zapata Malbecs. That meant researching 140 clones and choosing the best to plant in their vineyards. It also meant planting vineyards outside of the box. Making the best Malbec in Argentina is one thing, but for Nicolás, the challenge was to produce great Cabernet Sauvignon and Chardonnay from his vineyards. "When we started this new project for Argentina, for our winery, our inspiration was California and the meaning of that was we started planting Chardonnay and Cabernet Sauvignon in Mendoza. Up to that moment those varietals were not in Mendoza, there was just a little planted. So the idea was to produce in Mendoza great Chardonnay and Cabernet Sauvignon, although the most important varietal in my winery and the winery of my family was Malbec in terms of red and Riesling in terms of white. But at some moment after we started this project, we came to the conclusion that the traditional microclimates where we were planting in vineyards in order to produce quality were not really the best terroir." "We decided to plant at the place at the terroir with lower temperatures. We chose a place at the limit although everybody told me that maybe i was a little crazy because it was too high and we were going to have early frost or late frost and the grapes were not going to ripen. But we took the risk, thus Adrianna [vineyard planted at 1450 meters / 4757 ft). Well everything was really fantastic because today we think that our best wines come from that terroir, from that particular altitude." The Adrianna vineyard is in the Tupungato region of Mendoza, far west in the appellation. "This is something that I like to mention always, that when we went up there in the mountains and planted this vineyard we were looking for lower temperatures, going to the limit of lower temperature. But we discovered that at that altitude there was a factor that we had not considered which was sunlight intensity. Well sunlight intensity seems to be extremely relevant for the flavor of any varietal that you plant at high altitude. The higher you go the lower the temperature and the higher the sunlight intensity, particularly UV the radiation and it seems that at that altitude radiation is really high and changes the flavor of the juice of the wine in a significant way. "We are in the process of discovering chemically which are these changes and the reasons for these changes. The fact is that wines coming from that place, from that microclimate are different and should be different because of these factors temperature and sunlight intensity. Those factors in that proportion are only there, there is no other wine region in the world having these characteristics. "It is incredible the difference when you go up and down [in altitude] with the same vines. We have been doing that experiment and well, you can prefer any of them any altitude. My preference, our preference is the 1500 meters altitude." Nicolás is not content to sit on his laurels. His daughter Laura Catena created the Catena Institute of Wine in 2008, dedicated to research and development in grape growing and winemaking. Still, Nicolás thinks they have a way to go for making the best Chards and Cabs. "I think that going forward we will continue trying to produce high quality Chardonnay and Cabernet Sauvignon, but in order for us to be recognized as a region producing great Cabernet Sauvignon and great Chardonnay it will take a lot of time. It is very difficult to compete with the great regions, particularly Napa for Cabernet. For Chardonnay Sonoma is the best for me. We try to do something similar to Sonoma. I think that it is very difficult to compete with them but in the meantime we will I think, I am confident that we will produce a great Chardonnay and Cabernet Sauvignon. [What about White Bones and White Stones?] Yes today they are the best [Chardonnay] but it seems to me that the older the vines become the higher the quality will become, so we need to wait."